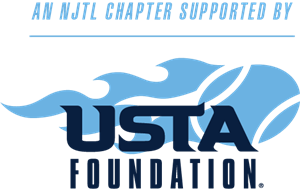 Join our summer volunteers and interns at our next NJTL Summer Network Youth Tennis workshop on Thursday, May 10 from 4:30-7pm at Rockingham Community College. A salad/sandwich dinner will be provided. This is a free workshop and a CCE certificate can be provided. NO tennis experience required. Please feel free to share this invitation with any interested colleagues, friends, or staff. Use this SignUpGenius link to let us know you are coming.http://www.signupgenius.